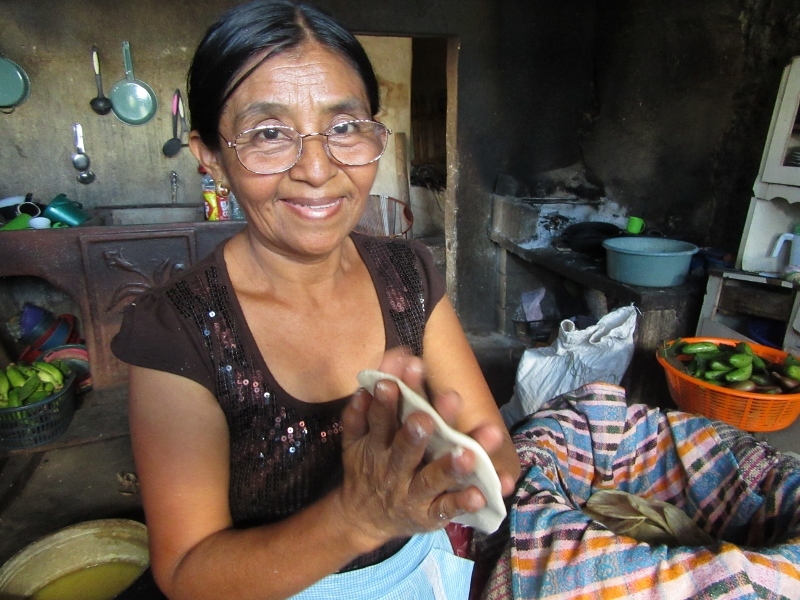 Meregilda Cruz, 53, is a tortilla-maker and has been making and selling tortillas since she was 9 years old. She supports her 9 children by making and delivering pre-ordered tortillas. 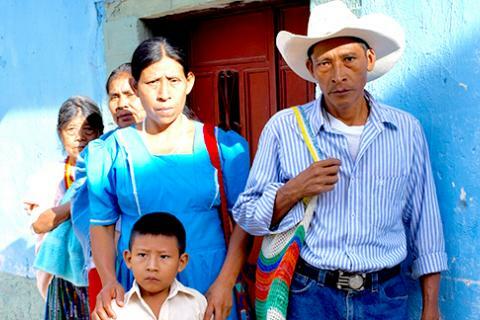 This adds vital income to their household, supplementing the 1200 Quetzals a month (roughly $170.00) that her husband earns working in the coffee fields. This is a family business started by Meregilda’s mother, who is now 80 years old. 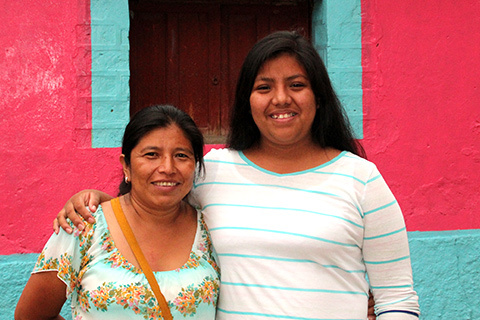 Her daughter Saida Maria, 17, has continued this tradition, helping her mother every day in the kitchen. Although the kitchen is small, it’s full of everything they need – from the bowl of fresh corn kernels and tubs of maiz, to the huge wood-fired stove where the tortillas are cooked. Work begins early every morning when Meregilda gets up before the sunrise and stokes the fire for the stove. She grinds corn, and mixes it all together in large bowls which she covers with towels. Then she and her daughter begin the process of forming the tortillas by hand. 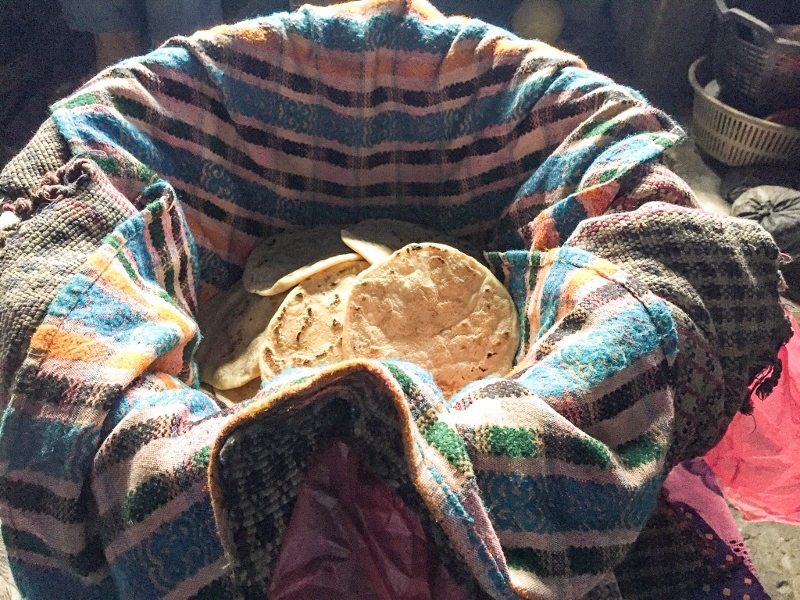 Each day they use 25 – 30 pounds of dough to make the tortillas they hand deliver to customers throughout the neighborhood. Because of Meregilda’s poor eye sight, she’s had a hard time navigating the vertical, rutted, crowded, and uneven streets. This had made her daily deliveries a difficult task. “The hardest thing for me was not being able to see the steps,” she said. Meregilda hadn’t planned on getting eyeglasses. She was just going about her daily business of making and delivering tortillas, when she heard from a friend about the IRT eyeglass clinic. 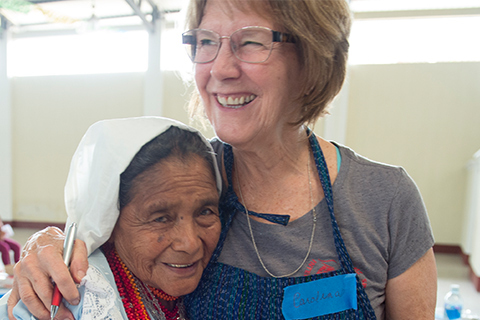 She knew her eyes were getting worse, but like most rural Guatemalans, she had resigned herself to her situation thinking nothing could be done. Even though she knew she was having a hard time navigating the stone-filled streets, she had never been able to afford to get her eyes checked. On impulse, she walked over to the clinic late in the afternoon to check it out. Unfortunately, she was too late to be seen that day. Undeterred, she returned early the next morning and took her place in line. 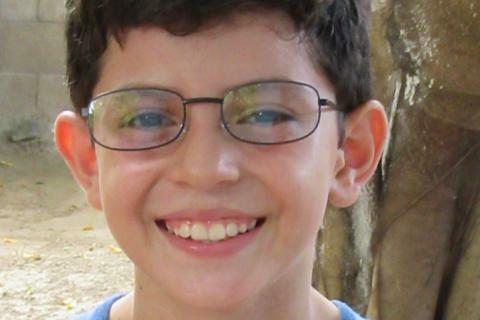 After being seen by with our team, it was determined she needed a fairly large correction to her vision. When she received her new eyeglasses, she was all smiles and very grateful to the wonderful volunteers who helped her. 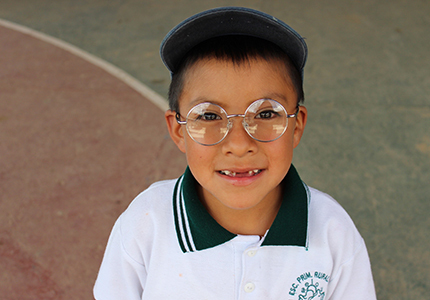 IRT eyeglass clinics provide vital services for poor communities like San Augustin. 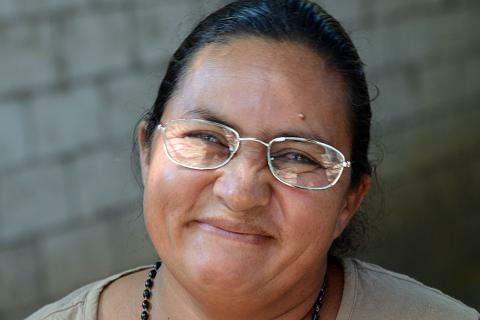 For people like Meregilda, who work hard each day to provide the basic needs for their family, purchasing eyeglasses is not possible. IRT has been visiting San Augustine for 6 years now. 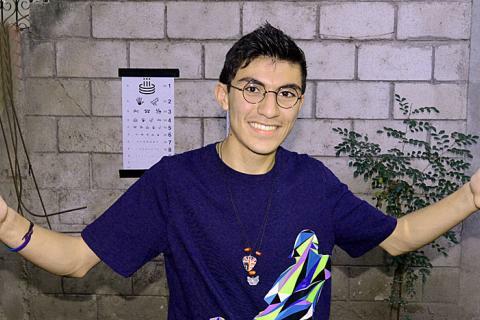 In this town, IRT and the eyeglasses teams certainly deliver on the promise of bringing hope and better lives to those they serve.